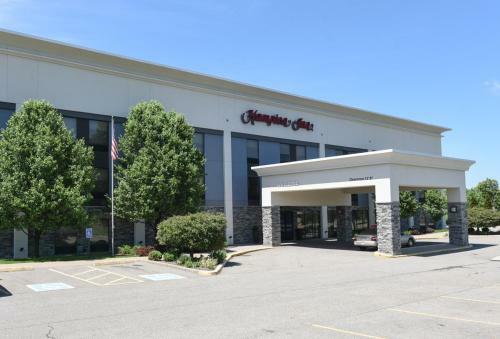 This Hampton Inn, located less than 1 mile from I-80, features an indoor pool. A breakfast is served each morning including breakfast sandwiches, cereal, fresh fruit and pastries. Free Wi-Fi is available at all rooms in the Hampton Inn Youngstown-North. A 25-inch TV, coffee maker and ironing facilities are included. Bathrooms feature a WaterPik shower head and curved shower rod for additional space. Guests may enjoy the fitness center with spacious windows looking out onto the pool. A beverage area including free coffee, tea, hot chocolate and fresh water is available. 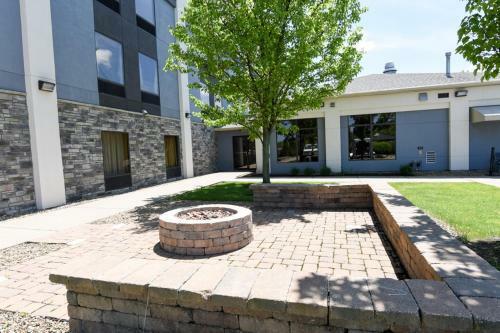 The Youngstown North Hampton Inn is less than 5 miles from Youngstown State University and less than 7 miles from the Covelli Centre. The property will be renovating their public areas and guestrooms from 12 April 2018 until 30 June 2018. During this period, guests may experience some noise or light disturbances, and these facilities will not be available. Guests are required to show a photo identification and credit card upon check-in. Please note that all Special Requests are subject to availability and additional charges may apply. 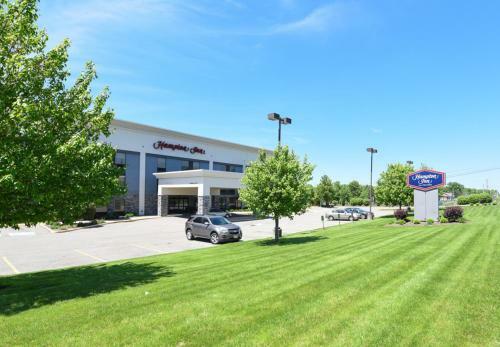 the hotel Hampton Inn Youngstown-North so we can give you detailed rates for the rooms in the desired period.